There are times when God looks for intercessors who will intercede on behalf of others. A good example of this is found in Ezekiel 22:30. 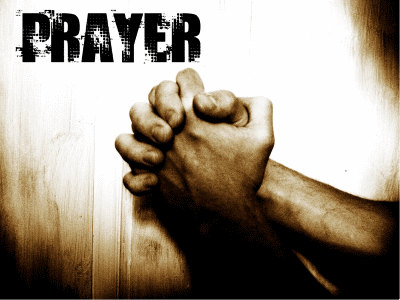 There are other times, however, when intercessory prayer will prove to be of no avail. This explains why God prohibited the Prophet Jeremiah from praying for the people (Jeremiah 7:16; 11:14; 14:11). Contrary to popular opinion, God’s patience is not inexhaustible. Men can cross God’s deadline. When they do, the divine die is cast and it’s too late to pray. This solemn truth should translate into a heightened sensitivity to the Spirit’s impelling of us to intercede for others. It just may be that the Spirit’s urging of us to intercede on someone’s behalf has been precipitated by the urgency of their spiritual condition. Perhaps, they’re nearing the divine deadline and time is running out on their grace period with God. Truly, Ezekiel 22:30 is one of the most amazing verses in all of the Bible. It implies that God would have withheld His judgement and spared the land if only one person would have stood in the gap and interceded for the people. In light of this, one cannot help but wonder how many times the wrath of God has been poured out on sinners because of the saints’ failure to cry out in prayer. Will the saints’ greatest sin against their fellow-man ultimately prove to be prayerlessness? John Wesley said, “God will do nothing but in answer to prayer.” Although I would not go as far as Wesley did, since the Scripture does not teach that a lack of intercessors is always inhibiting of divine intervention (see: Isaiah 59:16), I would agree that Scripture does suggest that God in His sovereignty sometimes chooses to partially limit Himself to our prayers. In an attempt to explain this phenomenon of prayer, Paul Billheimer suggested, “Prayer is the church’s ‘on the job training’ or ‘apprenticeship’ for eternal sovereignty with Christ.” In other words, God has voluntarily chosen in the here and now to work in partnership with us through prayer in order to prepare us to be co-regents with Christ in the hereafter (Revelation 5:10; 22:5). Of all of the different forms of prayer, none is less understood than intercession. Intercession is more than just praying for others; it’s identifying with others. The intercessor is someone who is willing to stand in the place of those for whom he prays. Before Queen Esther could intercede for her people, she had to be willing to be identified with them and to perish with them (Esther 4:1-16). Likewise, before the intercessor can intercede in prayer for others, he or she must be willing to sympathize with them and to suffer along side of them. Moses was a successful intercessor for the Hebrew children (Exodus 32:30-35). The secret to his success was his willingness to die with them and as one of them in the event that God refused to hear his prayers for them. Likewise, the Apostle Paul reached the sublime heights of intercession when he interceded for the salvation of his countrymen by offering his own soul in exchange for theirs (Romans 9:1-5). Needless to say, the ministry of intercession is not for the fainthearted. Only the most spiritually valiant among us can take up this mantle in prayer. Is there any wonder that intercessors—those willing to “stand in the gap” for others—are hard to find? You have the author's permission to print and freely distribute to others this entire manuscript or any portion thereof. If you would like to help us continue to offer complimentary resources, like Intercessory Prayer, you can make a tax-deductible donation to "Time For Truth Ministries." All contributions should be mailed to: Time For Truth, P. O. Box 811, Townsend, TN 37882.